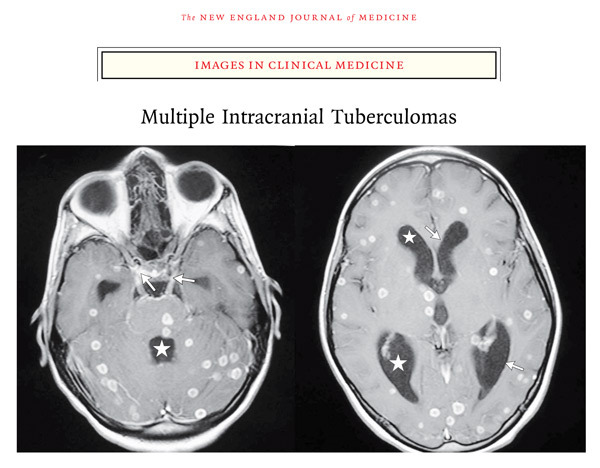 Brain tuberculomas are a not uncommon type of intracranial mass lesion where TB is rife. They may be single but are more often multiple. The typical sites are the cerebellum, pontine tegmentum and paracentral lobule. Tuberculomas can also occur in the spinal cord. The patient was an 18 year old woman who presented with headache for 2 months, as well as a cough and systemic symptoms. Neurological examination showed her to be obtunded, but without any localising signs. 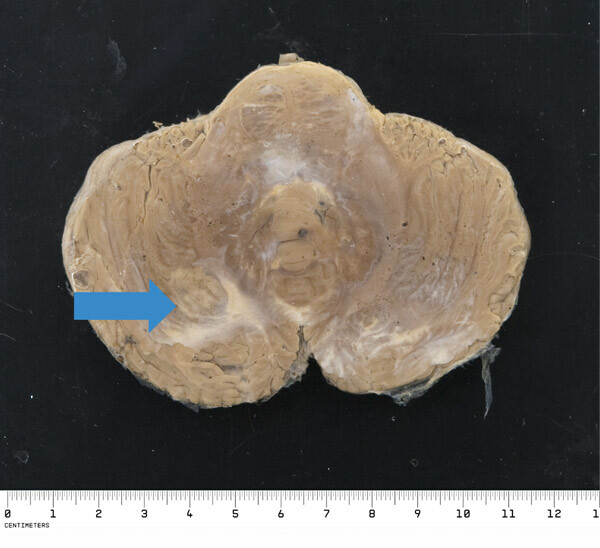 Shown here are horizontal slices of the cerebellum and the cerebrum. 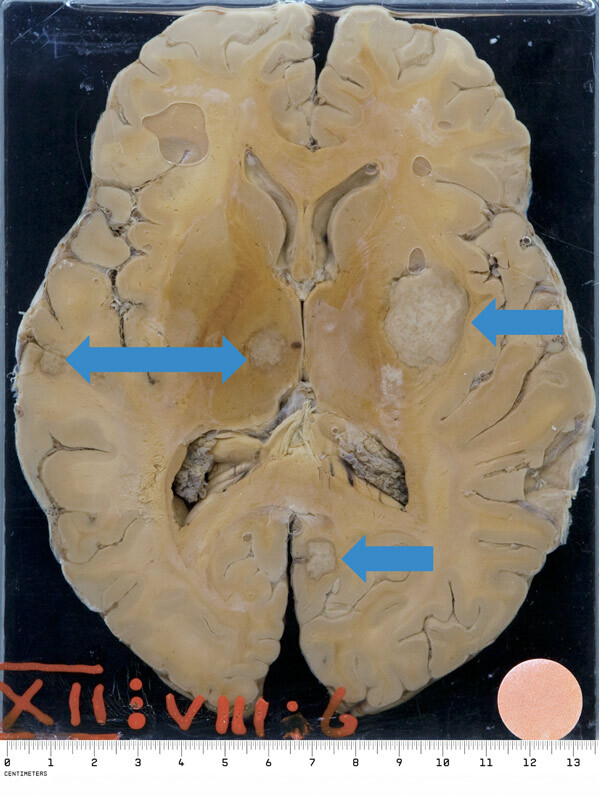 The obvious lesions are several large tuberculomas that are sited in the posterior lobe of the cerebellum, the basal ganglia and the peripheral cerebral cortex. The tuberculomas are fairly well-circumscribed, and some fibrous encapsulation is evident. There is less surrounding oedema than there would be with pyogenic abscesses or malignant neoplasms. The brain is swollen but there has been little midline shift, likely because there are lesions in both hemispheres.